Anti-Virus is a need to every computer. But you must know its efficiency. Do you know anti virus can be tested only with the help of note pad?? To do this, you should create a fake virus first. Don’t worry. No complex coding. Just open up notepad, paste the below text in that. After the above code has been entered save the file as an .exe file instead of a .txt file. For example, name the file test.exe instead of test.txt. Done. Now close notepad. Wait for your anti virus to react. It should show a “Virus Found” alert. If found don’t panic. It is same virus that you have created just now. And be happy that your anti-virus is efficient. 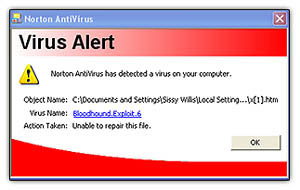 Commonly all famous anti virus will detect. But in case not finding this as virus, there is a bad news for you. 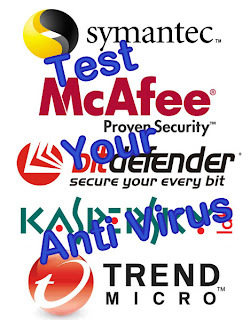 Throw out your anti virus and get some new!! No need to search for anti virus. just goto below link that takes you to my my older post about a free ware anti virus. 2. How To get Rid of Annoying Online Ads?